German tuner Carlsson has announced their latest tuning kit for the 2012 Mercedes-Benz SLK. The kit includes enhancements to both the interior and exterior along with increases to the engine&apos;s output. Power will increase by some 27 to 40hp through Carlsson&apos;s C-Tronic control units. These units allow for the SLK 200 CGI to have 211 or 224hp as opposed to the 184hp produced in the standard version. 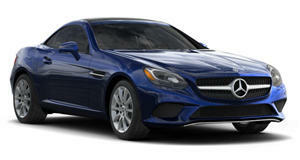 The SLK 250 CGI will have an output of 231hp instead of the standard 204hp. These power upgrades range in price from €1,190 to €1,690, depending on the chosen power level. Some other upgrades include custom 18-inch wheels and a 30 mm lower suspension priced at €1,930. Other exterior enhancements are a new front spoiler, a rear apron insert, stainless steel grille inserts, new side sills, and a stainless steel exhaust system. There&apos;s also a choice of three interior kits that consist of unique seats, headrests and door panel upholstery that will start from €3,900.